Alarm Response – Magna Security Inc. The last thing Magna Security wants is for your family to come home. Now is the time to contact Magna Security Group. Are the insurance savings for an alarm system too big to ignore? Now is the time to contact Magna Security, a trusted home alarm company. Have you had some work done? Get an alarm when you get new doors and locks. Have you had a recent break in? Now is still a good time for a monitoring security system. Many intruders come back as they are now familiar with your home and what possessions you have, they may even come back after you have replaced stolen items. Are you a tenant and you are not sure if your home is safe from illegal entry? A video surveillance system is less costly than you think. Was there a break-in at the local plaza and your neighbours are all concerned? 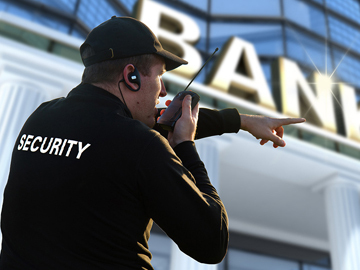 You can secure your perimeter with Magna Security. Our Mobile services division will ensure timely response to your properties here and abroad to ensure resolution of the alarm breach. Our mobile teams have the training to ensure no further breaches and temporary and/or permanent resolution to the matter, we have 24/7/365 contact with our Alarm Control Security Center to provide backup support to various teams.